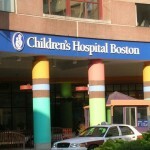 Boston Children’s Hospital could be on the verge of curing type 1 diabetes. Seriously. This huge news, which was announced today on their blog, could affect the 215,000 people in the U.S. younger than 20 who have diabetes (type 1 or type 2).